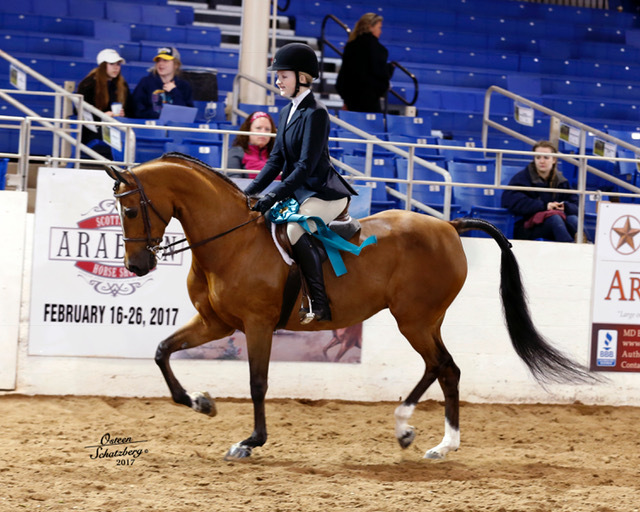 This unbelievably kind and talented mare is the perfect mount for any amatuer, junior or open rider. 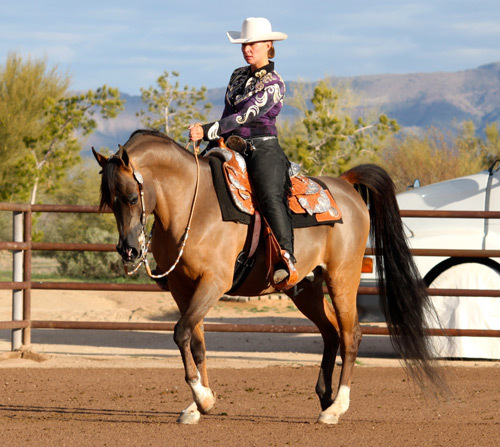 She holds titles in Sport Horse Under Saddle, Sport Horse In-Hand & Hunt Seat Equitation. "Berry" is as uncomplicated as they come and you will just fall in love with her. 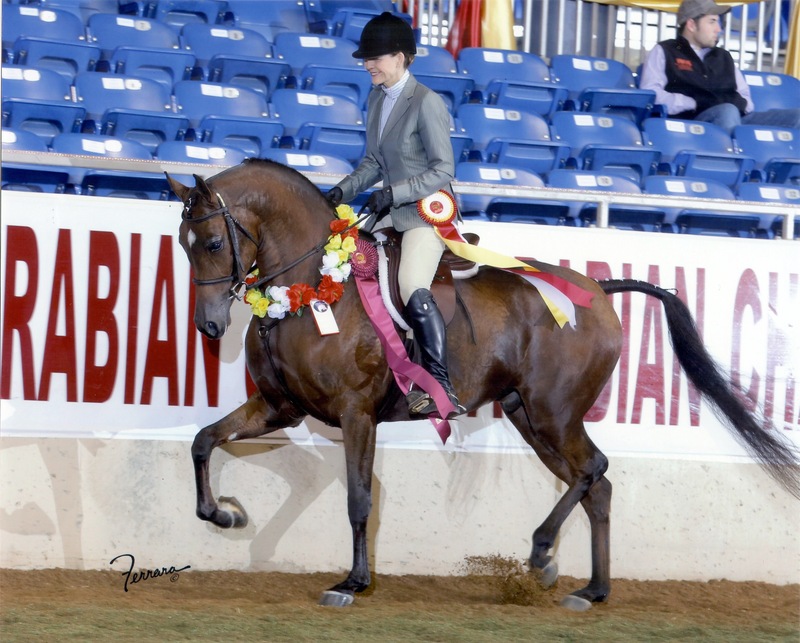 This is a super easy Hunter Pleasure mare that would continue to win for any amatuer or junior rider. She is big, pretty and great minded. 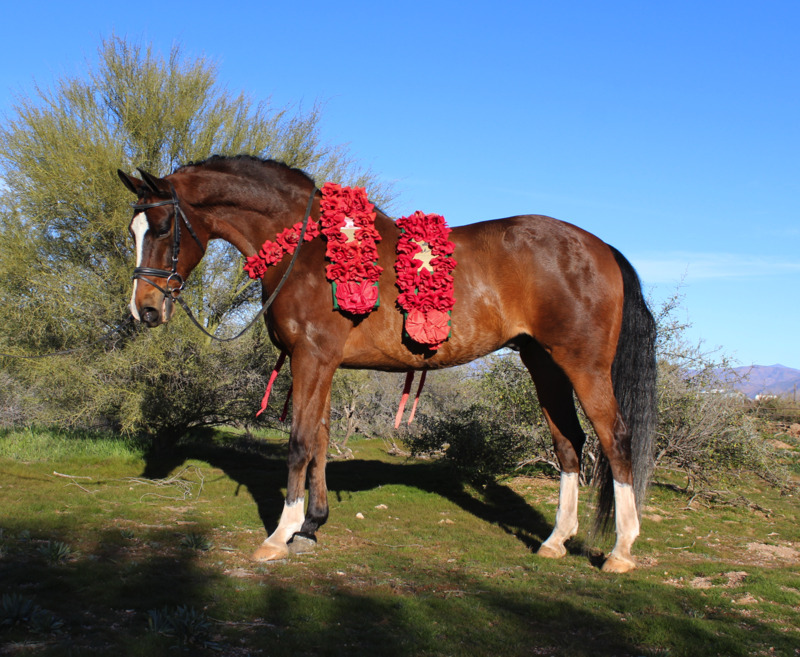 Affectionately know as "Oliver" in the barn, this big, impressive gelding will steal your heart. He has not been shown recently due to current school commitments by his owner. 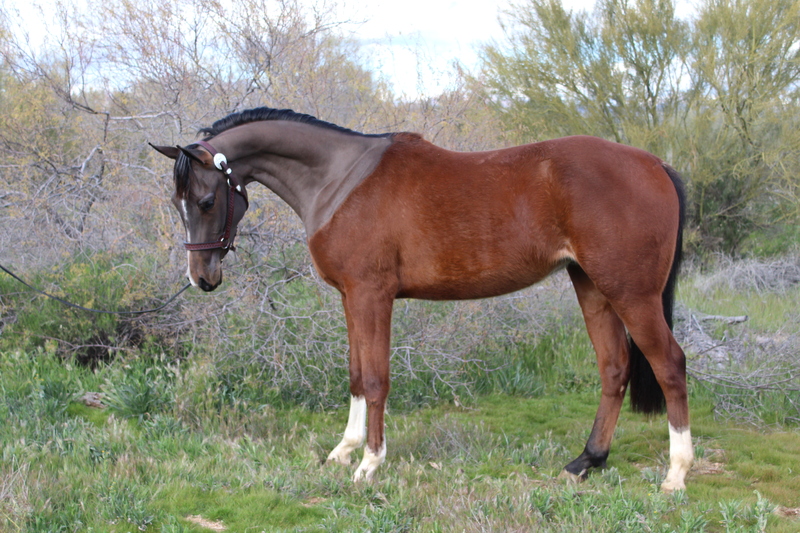 Oliver is super quiet and would also make an amazing trail horse. Very reasonably priced. 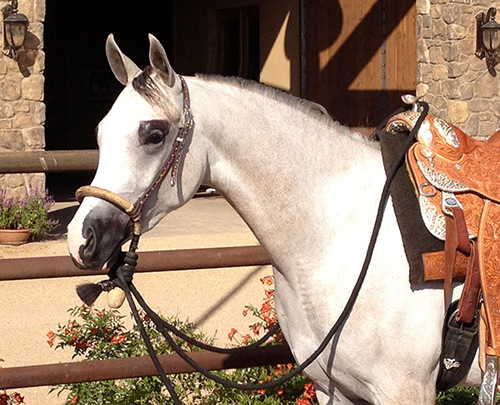 This gelding is so beautiful! 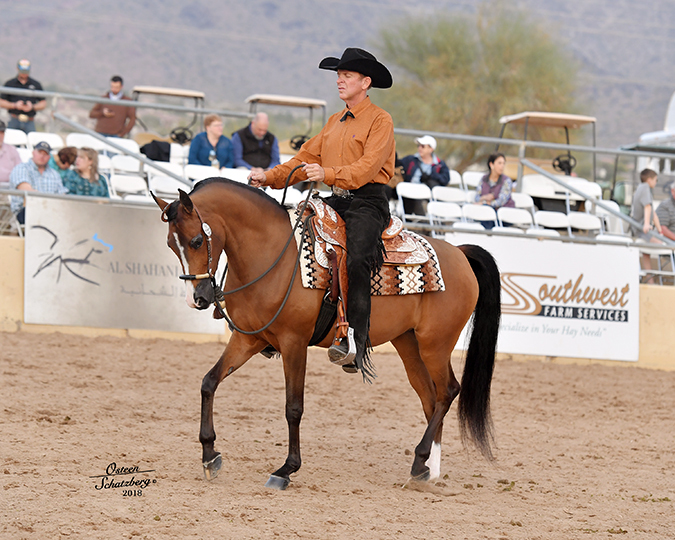 Capture is under saddle and well on his way to taking home a chunk of that Scottsdale Signature prize purse in 2020. The 2019 payout is as follows: $7783.95 to Champion, $5559.97 to Reserve, $2965.32 to Top Five. It's a great opportunity to earn back part of his purchase price. Capture looks like he is going in the direction of Western, but he may be Hunter too. 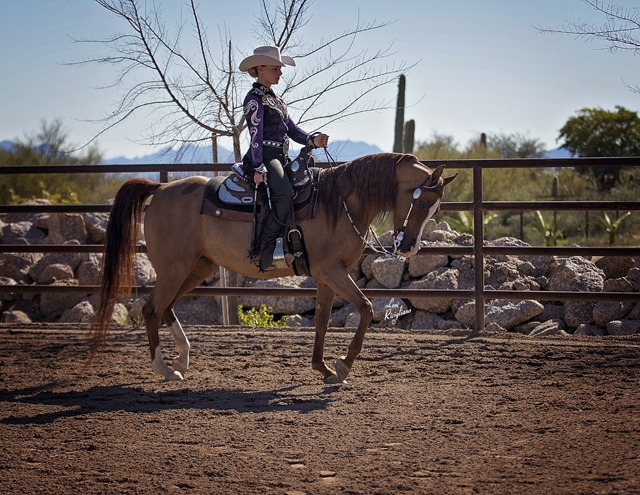 Either way, this gelding is on a path to great things. This guy is one of our absolute favorites! Ibn Al Khamsa is adorable, good minded (even though he is a stallion), great mover, fancy markings. 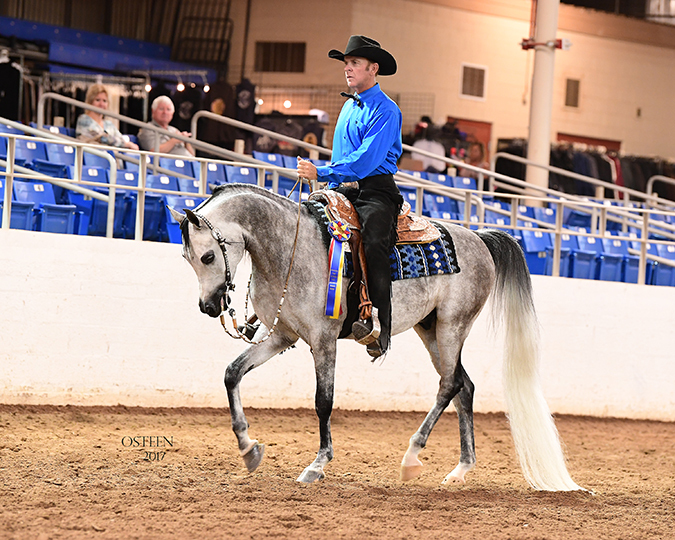 We just can't say enough about this amazing Western Pleasure prospect. 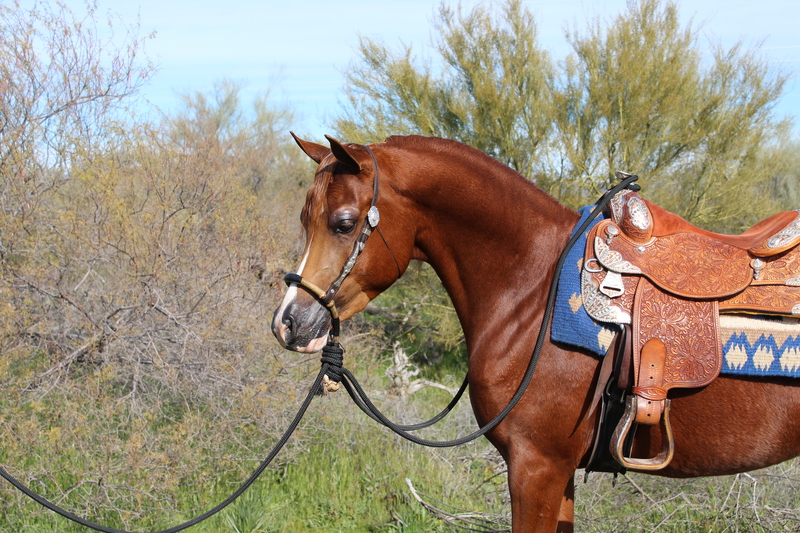 He is well under saddle and on his way to a big future. 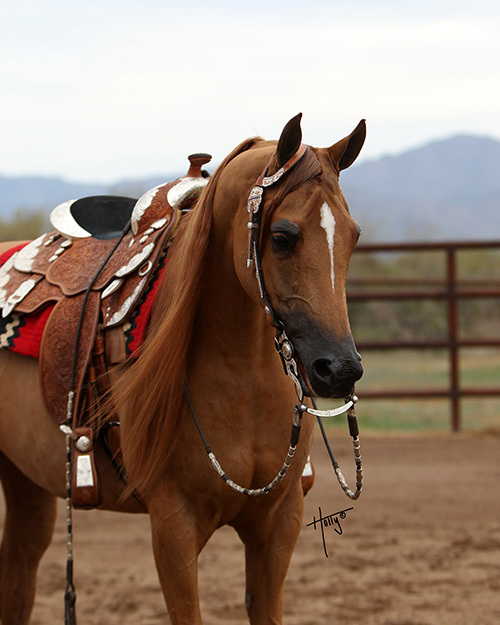 Amplify is a beautiful chestnut gelding with all the chrome! Amatuer friendly and ready to take his next owner into the winner's circle. This is your typical Sundance Kid V - amazing body, freaky shape to his neck and he is a big boy. 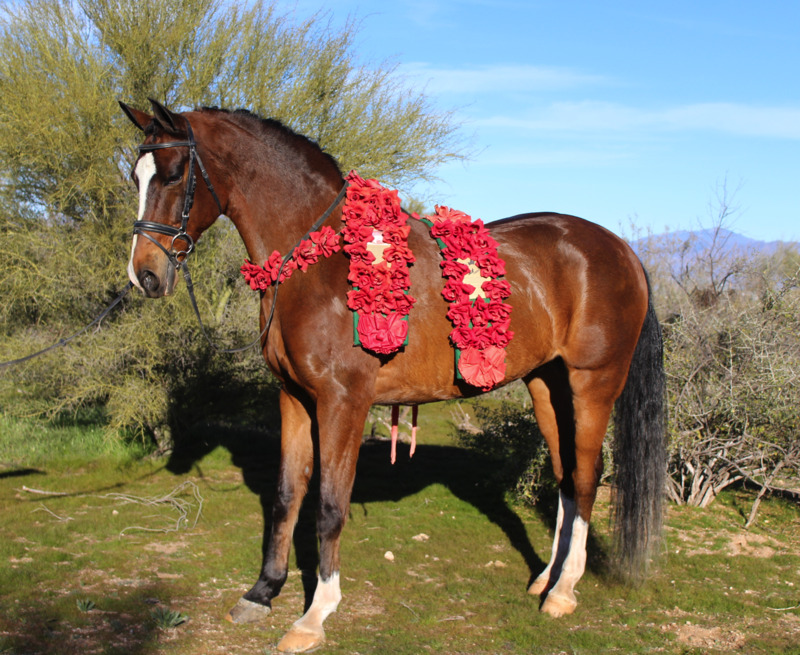 Coronado Kid is the colt that everyone is looking for right now and we have him. This is an incredible Amatuer & Open contender at the highest levels of competition. Regional Halter wins. Very pretty and feminine. 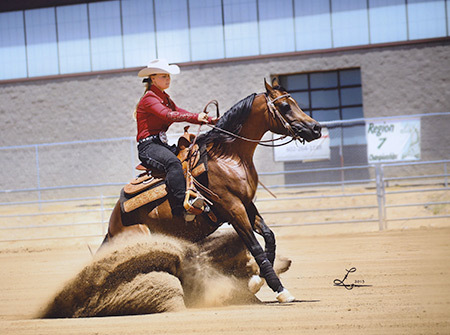 Sired by a National Champion and out of a big bodied working western mare. Pretty grey with tons of chrome! 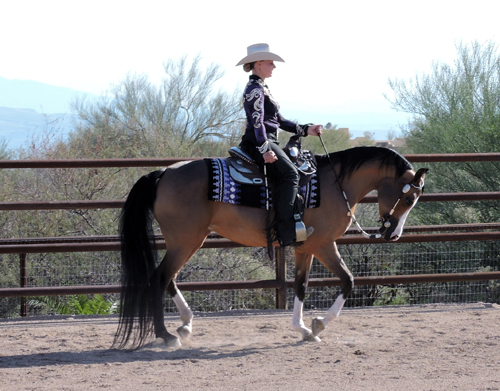 Under saddle and looking great. Has Hunter & Western potential. 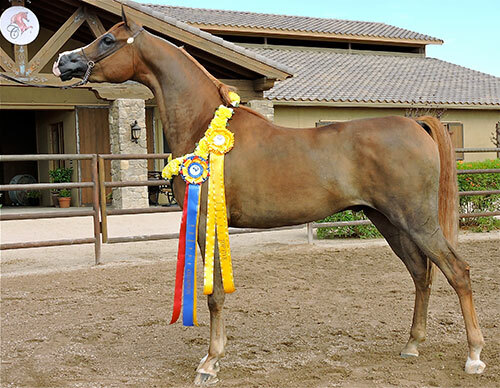 This mare is super talented. She will excel in any Western division. 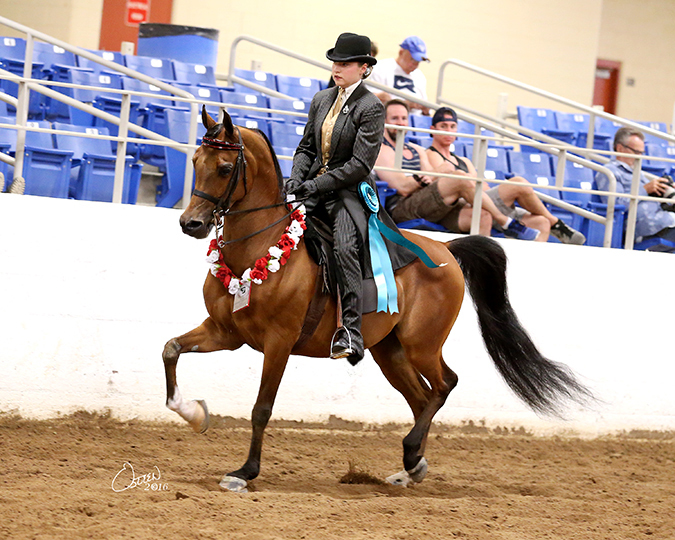 Congratulations to Debbie Rossi of Scottsville, KY. Special thanks to Danny Thompson of Bella Vista Equestrian Center in Lawrenceburg, KY, agent for Buyer. 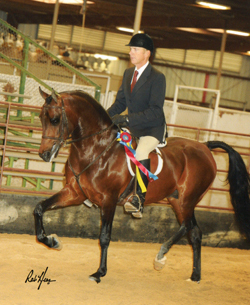 Would be a great Hunter for any Amateur or Youth rider. Seller is motivated. This is a great buy! 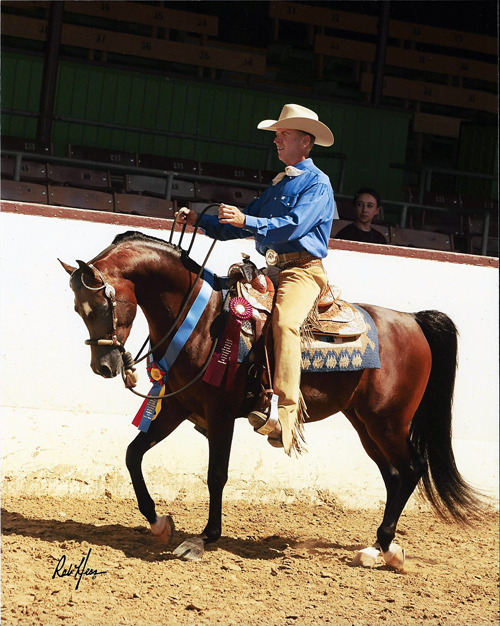 Out of 5X National Champion Western Pleasure mare and by a Scottsdale Champion Western horse. Well started under saddle and very good minded. 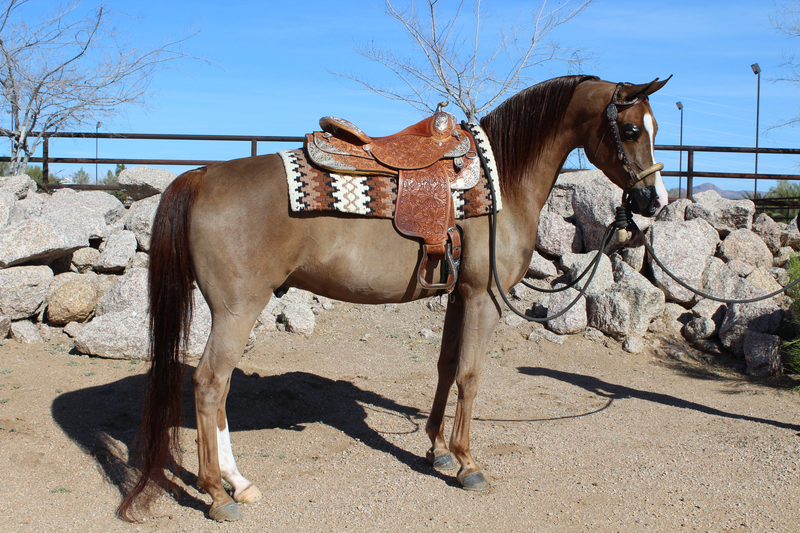 This big and beautiful gelding is super solid and multi talented. 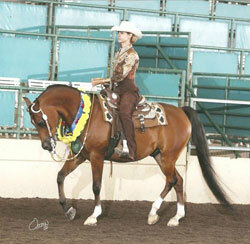 Rousseau KF++/ has many Regional Championships in Amatuer and Open Western Pleasure. 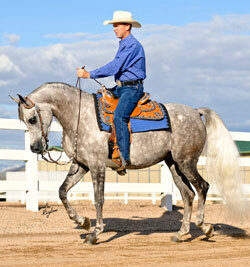 He has also earned Top Tens in Horsemanship and Side Saddle. 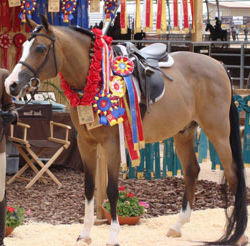 A show horse like this is getting harder and harder to find. 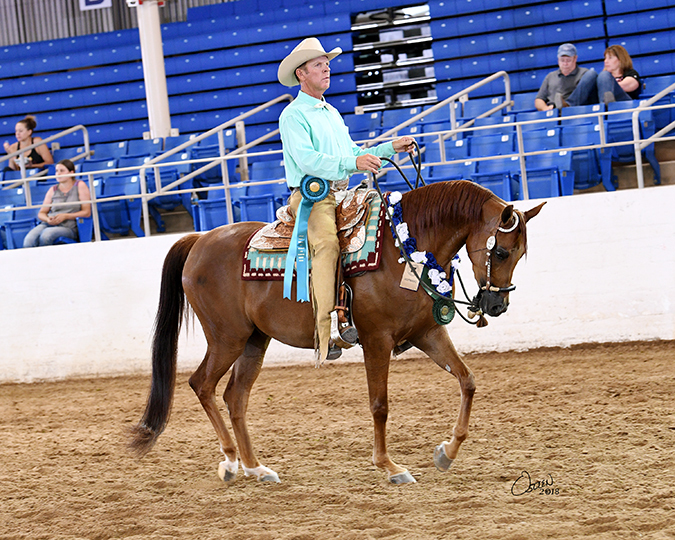 He is Sweepstakes nominated and qualified for US Nationals in the Open and Amatuer Western. Congratulations to Donna Klockenga of Geneseo, IL and many thanks to Jody Strand, agent. 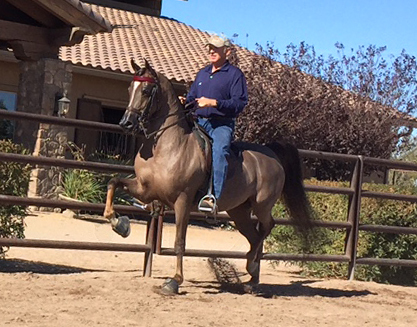 Under saddle and going very well. Super pretty face and neck. Great body and legs. He is absolutely beautiful. 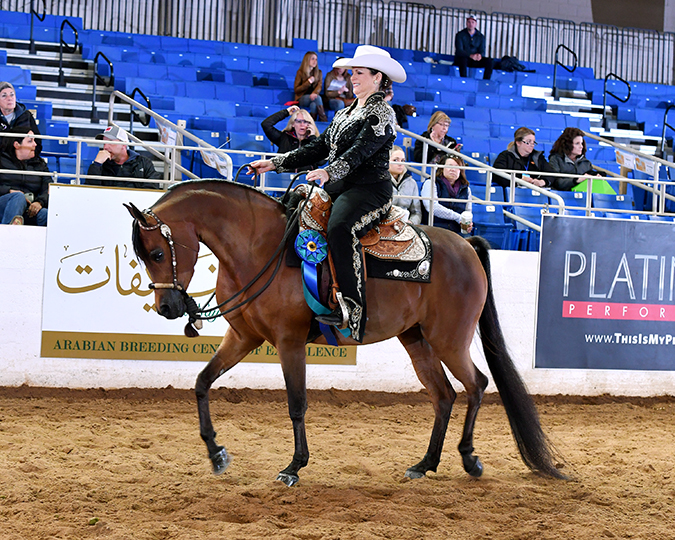 Congratulations to Kathie Williams and Legacy Arabians of Terrell, TX. Just started under saddle and looks like he is going to be a superstar. He is big and handsome with a great shape to his neck. 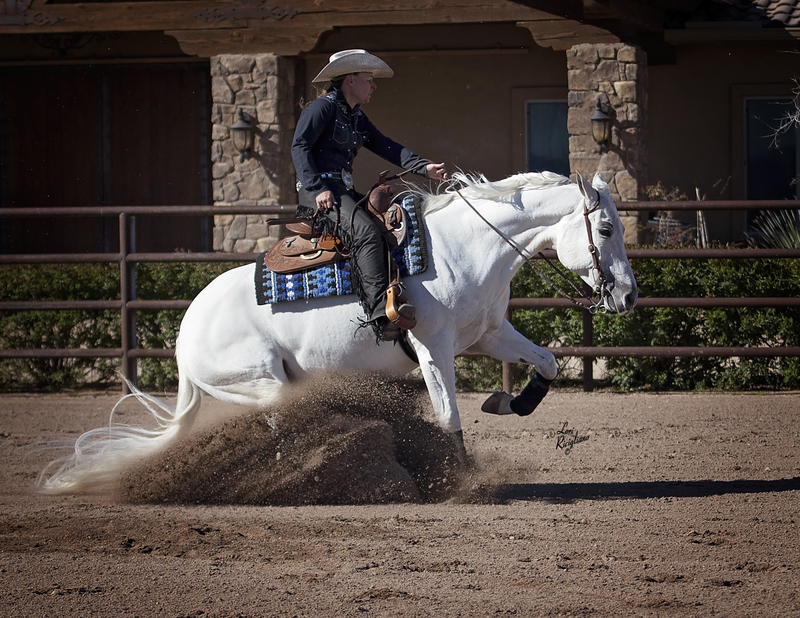 He has the quality to be an amazing Western horse - Open or Amatuer. Beautiful dapple grey with black points. Will be shown at Scottsdale 2018. See her in the Stachowski Presentation on Wednesday evening, 2/21. Congratulations to Laverne Dayton and many thanks to Sara Fike of Pismo Beach, CA. 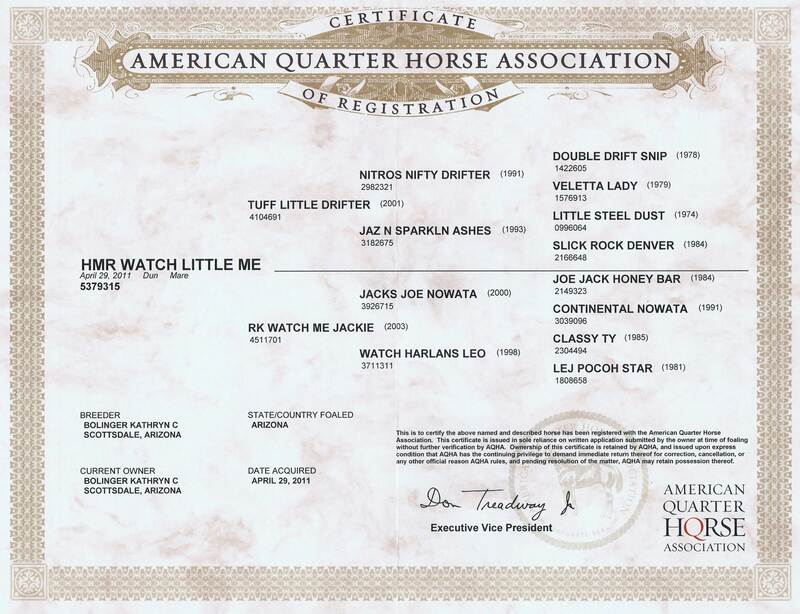 Congratulations to Firefly Equestrian Center of Bluffdale, Utah. 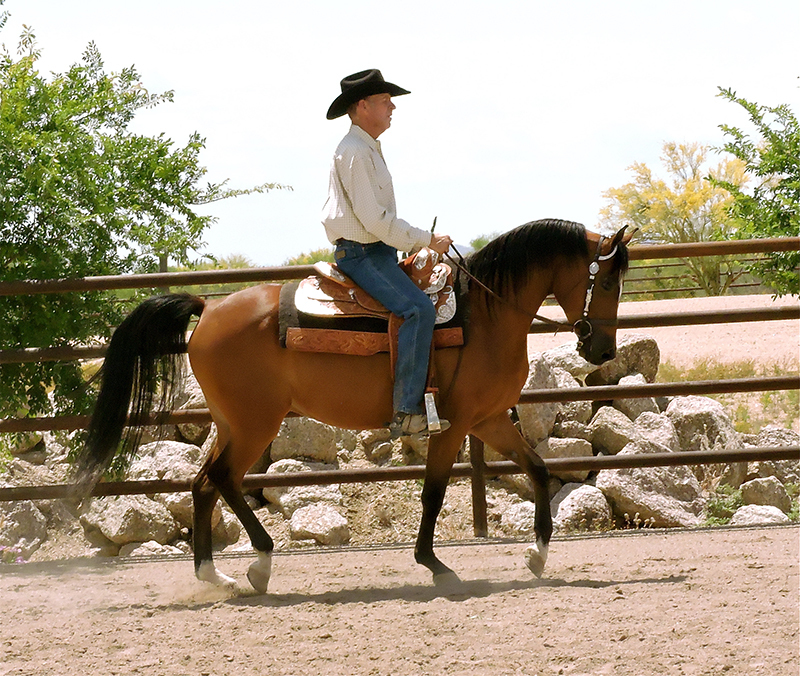 Big, buckskin Hunter gelding. Pleasure or Equitation. 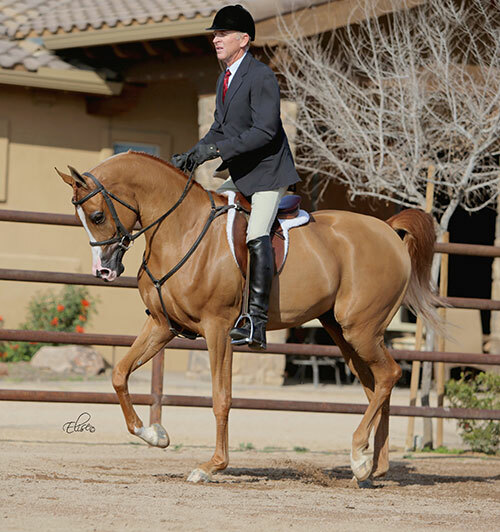 "Morty" is reasonably priced and great for amateur or junior rider. Big and Kind,a all around horse. 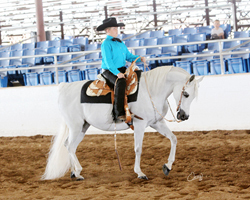 Can do Reining, Equitation, Horsemanship and more. 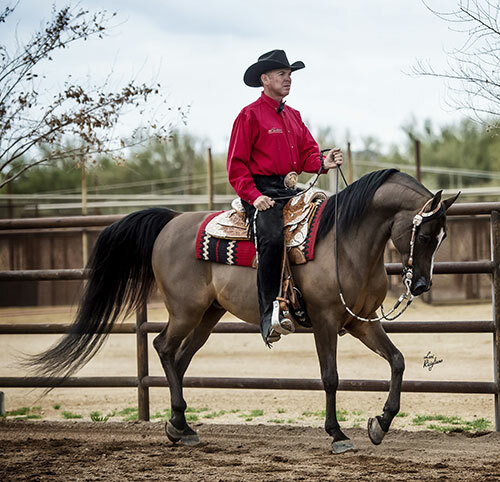 "Many thanks to the Gales Family for allowing us to purchase this awesome gelding for ourselves! 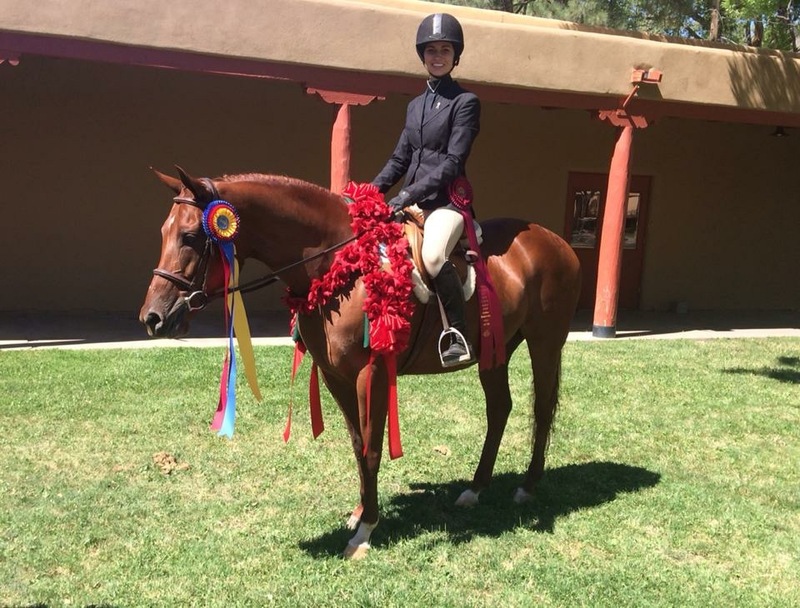 Chris and Michele"
Congratulations to Wolf Springs Ranches, Inc. of Westcliffe, CO. Many thanks to Cynthia Burkman & Natalie Jones. Congratulations to the Krasilnikov Family of Walnut Creek, CA Many thanks to Megan Jenkins. Congratulations to Jesse & Carolynne Hayden of Tualatin, OR and many thanks to Lisa Munson. 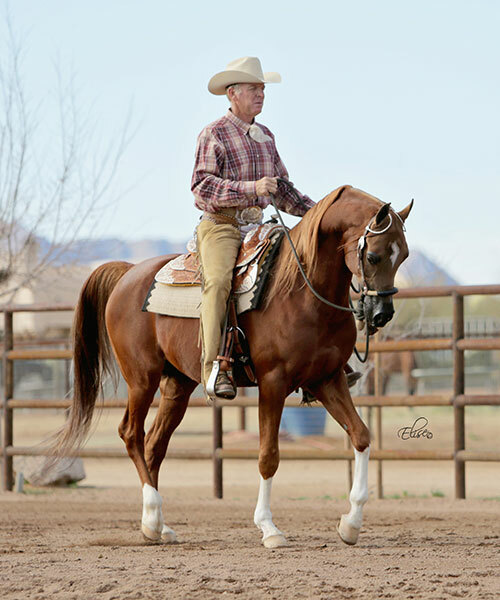 Sired by one of the greatest Western Pleasure horses of our time, SJ Mikhail+++// put his stamp on this gelding. 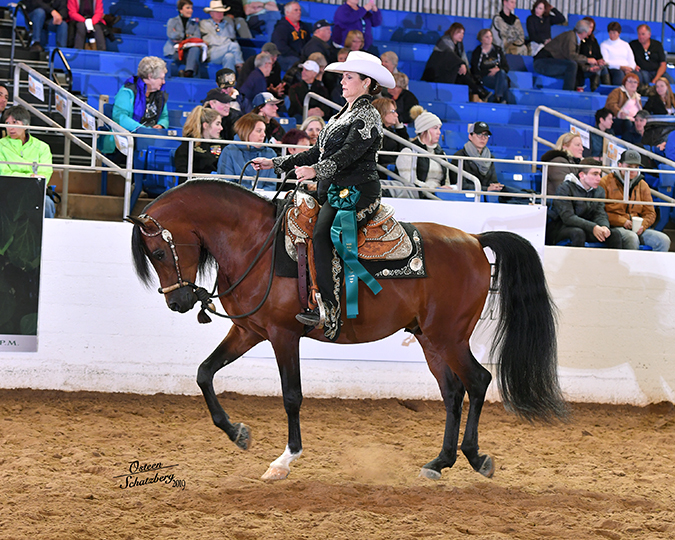 "Congratulations to Julie Olmstead of British Columbia. 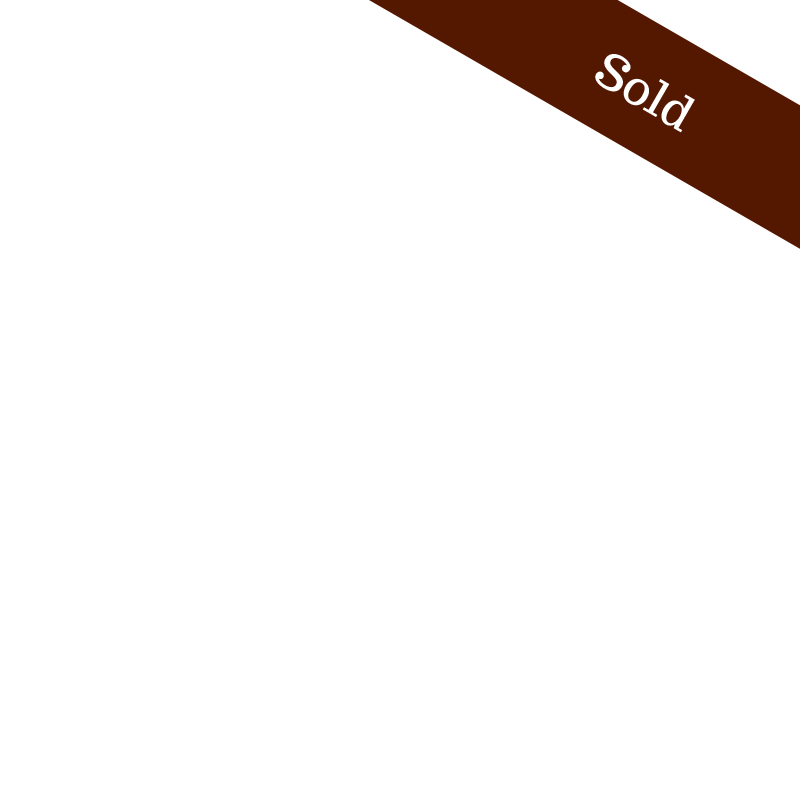 Many thanks to Allison Morris and Kristy Bartle for assisting in this sale." 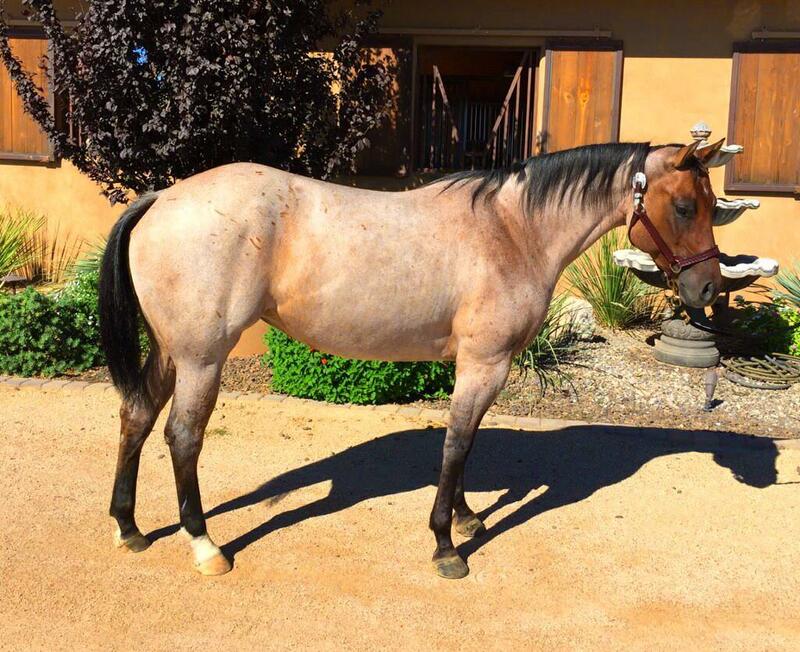 This roan mare is super quiet and very easy ride. Good on the trails. Would make a great roping prospect! Congratulations to new owners, Angela, Bliss and Savanah Luedtke of Brookfield, CO" "Thank you to Deb Ludington and Gary Martinez!" 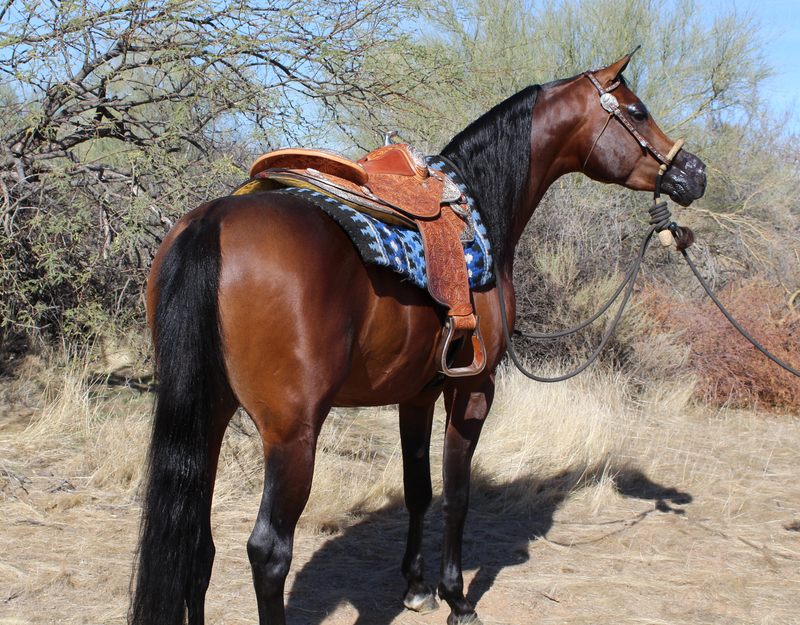 Great trail riding horse priced reasonably. Congratulations to Jenn Harn and her daughter, Ashley. Congratulations to Amy Taylor-Greengard of Rogers, MN. Congratulations to Steve & Karen Freeman and many thanks to Brett & Marjie Becker. 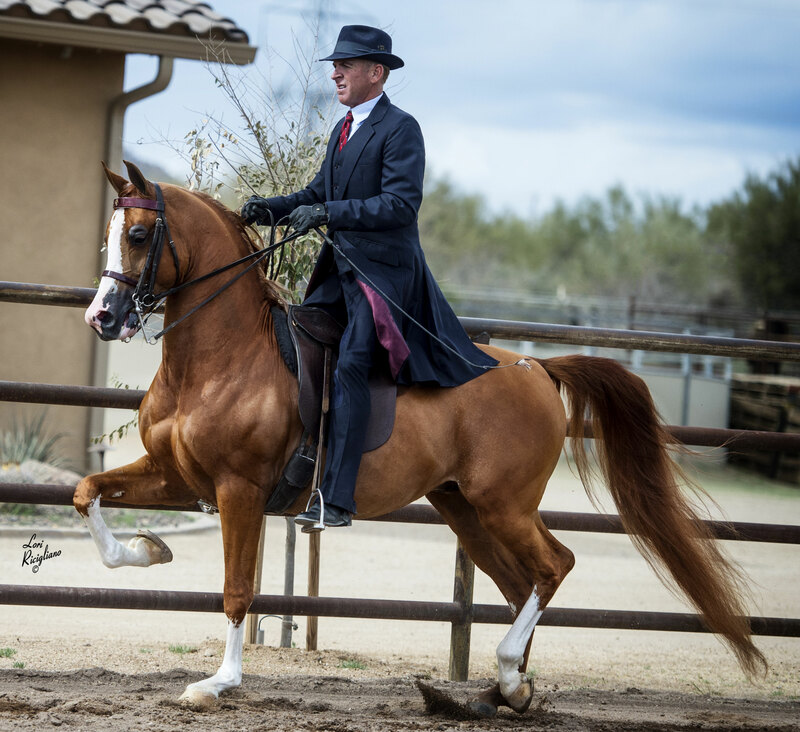 Sired by the Fame VF+ son, Sshameless++ and out of a polish bred mare, this gelding is destined to be an incredible western pleasure horse. 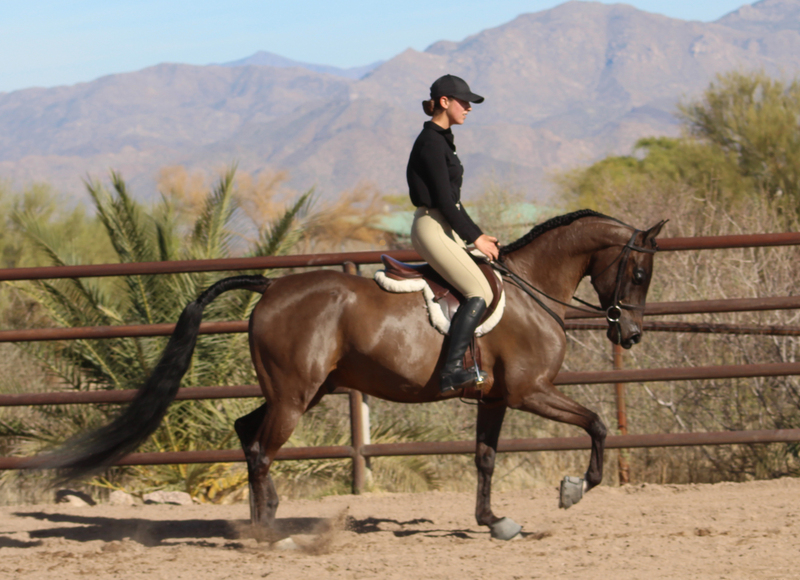 Shameus is well on his way to being ready for the USN & Scottsdale Show Maturities. Congratulations to Michael & Tamara Johnson of Cedar Rapids, IA. Special thanks to Jody Strand. 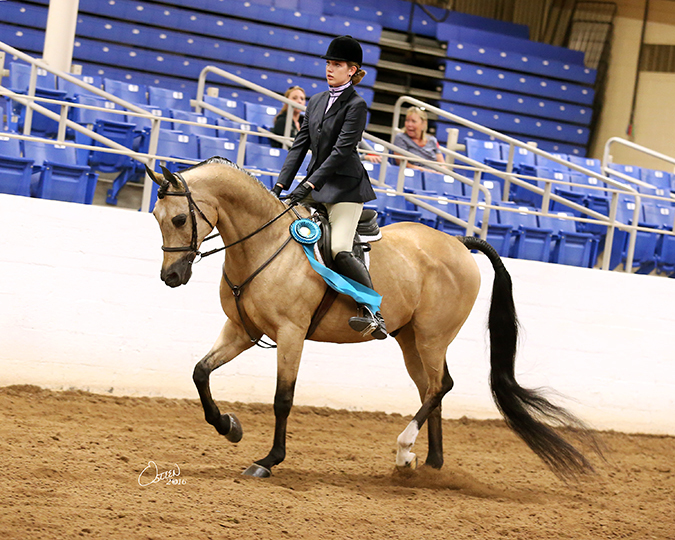 Under saddle now and showing great talent for the Western division. 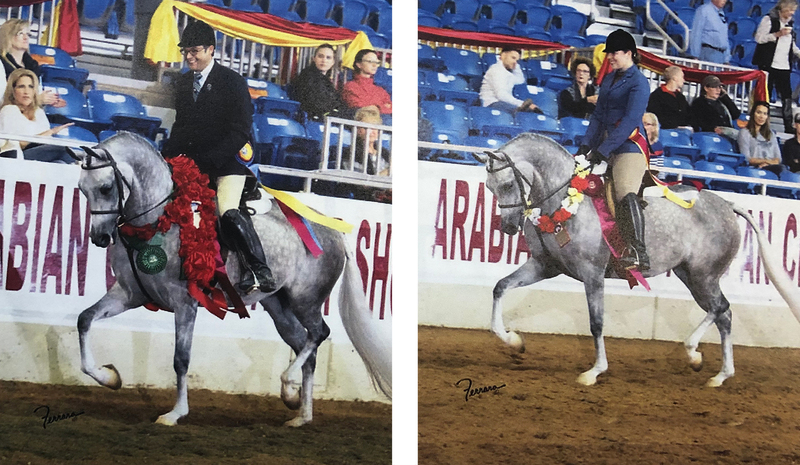 Sired by the Marwan Al Shaqab son, PCF Vision and out of a beautiful Padrons Psyche daughter, this is an absolutely stunning gelding. You can't walk by the stall without noticing him. 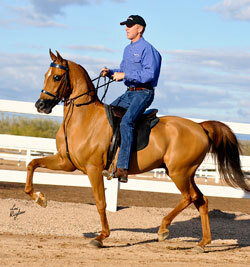 He is under saddle and shows great promise as a National level Hunter. 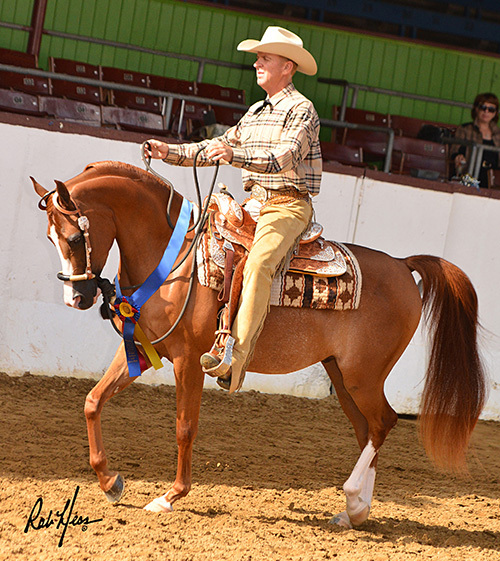 Show him in the USN Performance Futurity this year (PB Hunter Futurity paid almost $12,000 overall in 2013) or show him in USN Halter Futurity (this class paid over $15,000 overall in 2013). 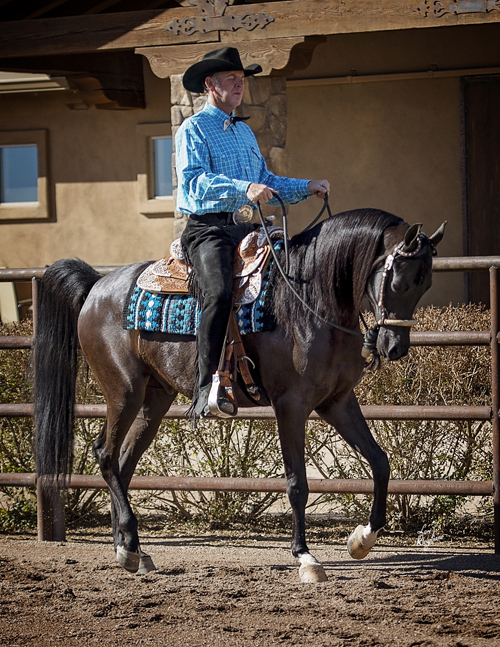 Whether your discipline is In-Hand or In-The-Saddle, Vincent is going to make you glad you bought him. Congratulations to Dr. Robert & Jeanne Black of Mt. Pleasant, SC and a Special thanks to Rob Bick. Sired by the Magnum Psyche son, Justify and out of a full sister to ML Mostly Padron, this beautiful and well mannered stallion will take you to the winner’s circle over and over again. 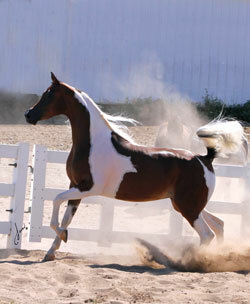 He is a gorgeous western horse. This is the horse you’ll want for the 2014 USN Maturity (His class paid out over $31,000 last year to the winners and remaining Top Ten). This is your next superstar hunter! He is everything you want in a hunter and he is winning. 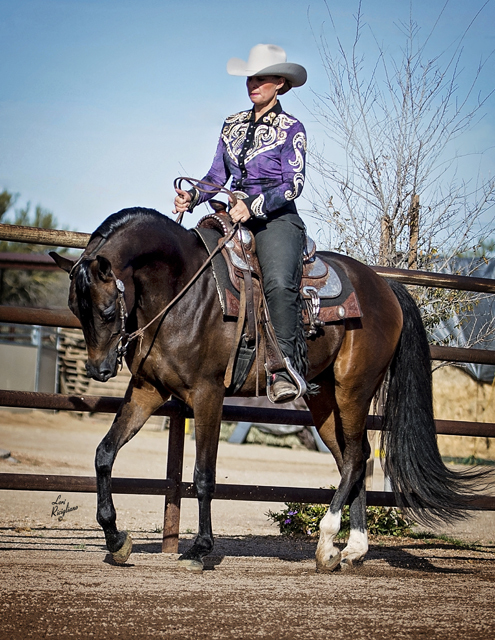 Broke to ride, but has not been shown under saddle. 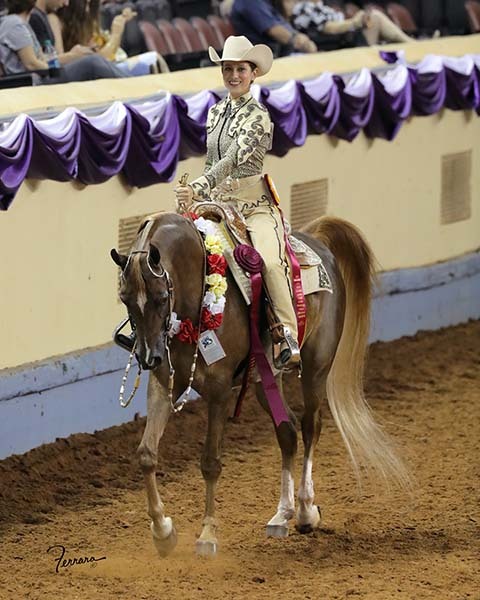 Too many Firsts and Championships in Halter to list! 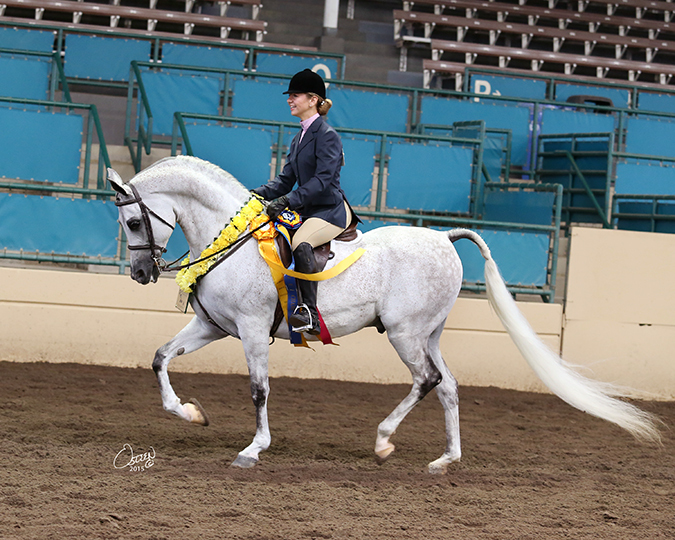 Had a 2010 colt by Aria Impresario and a 2012 colt by Etro PA.
Top Contender for the Hunter Pleasure Maturity at US Nationals! 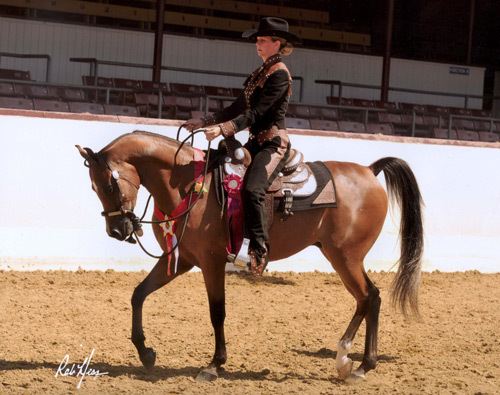 This is an impressive and pretty gelding. Has been shown hunter and western. 2009 Top Ten Fall Santa Barbara Western Pleasure Open Futurity. 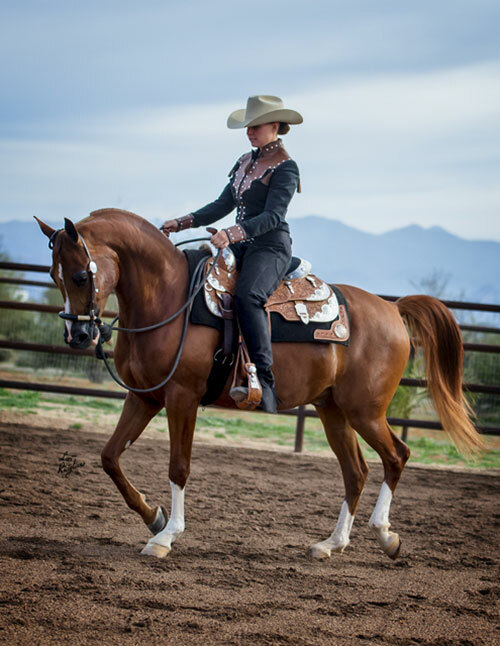 Zara is well started under saddle as a Western Pleasure horse. She is easy to ride and ready to go. 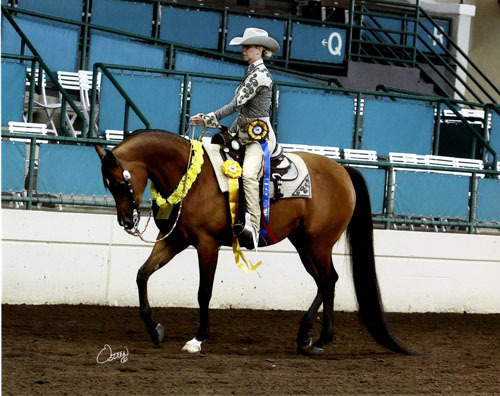 Very broke to ride and will make a top performer in either Hunter Pleasure or Western Pleasure. 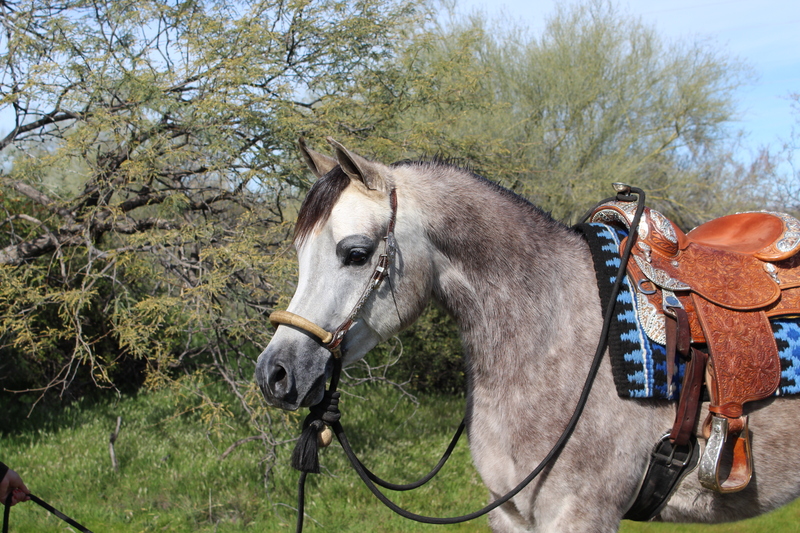 Faustella has a sweet disposition and is easy to ride. 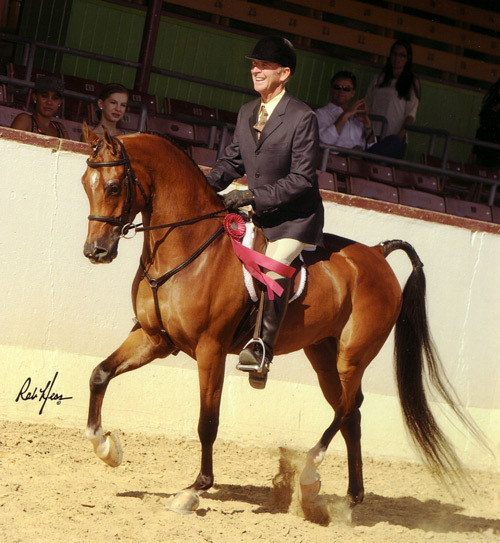 Incredible Pleasure & Equitation mount! Congratulations to The Gudgeon Family of Cedar Falls, Iowa. 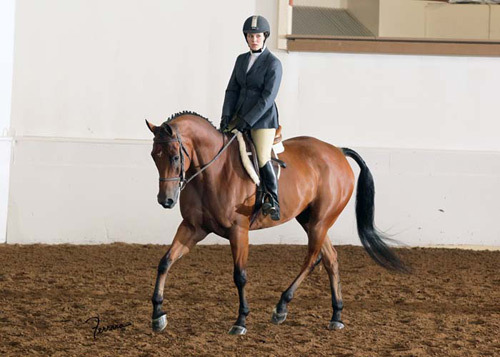 This Hunter Pleasure gelding is the perfect horse for any amatuer, junior rider or walk/trotter. 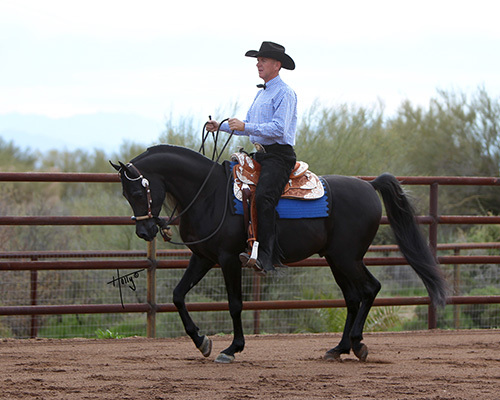 He is super easy, very sound and an A+ mover. 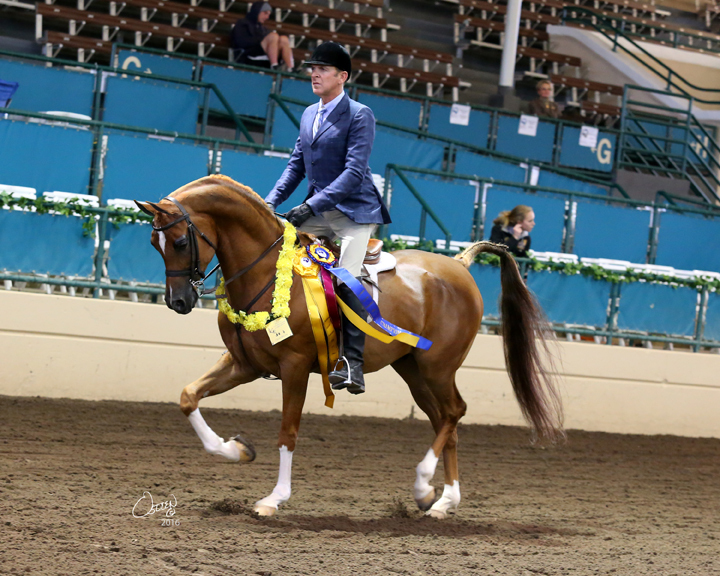 Multiple Regional and Scottsdale Championships, as well as a National Top Ten. Very reasonable priced. 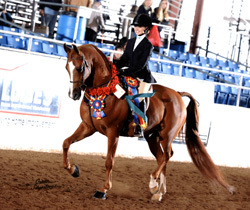 This pretty gelding is no stranger to the winner's circle. 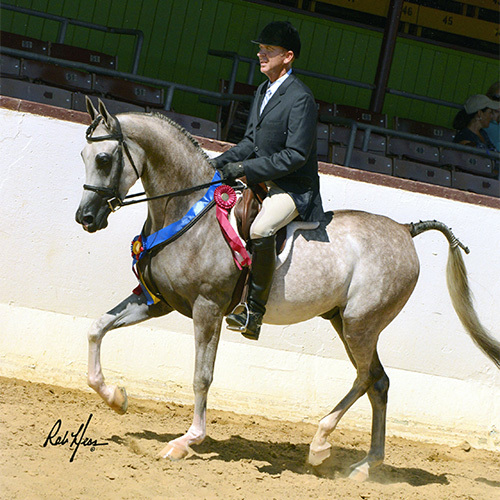 He has numerous Regional & Scottsdale Championships is ready to win again with another amatuer or a junior rider. 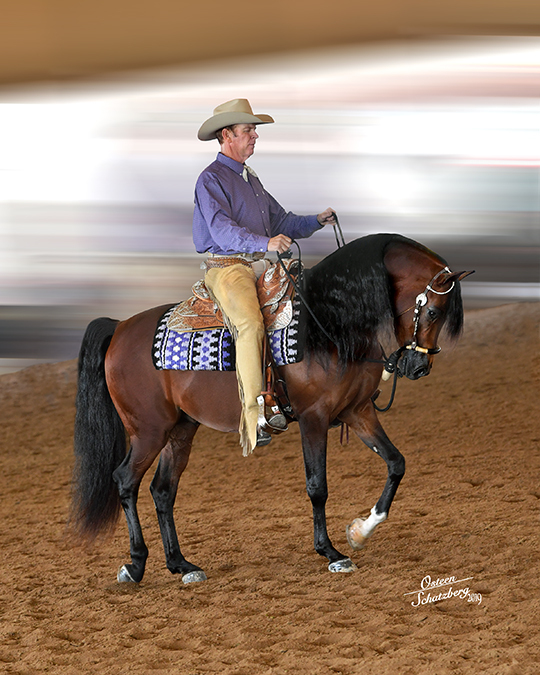 This is the perfect Western Pleasure Walk/Jog horse. She is beautiful, kind and easy. You will love her. Qualified for Region 7 and U.S. Nationals. 2009 Res. 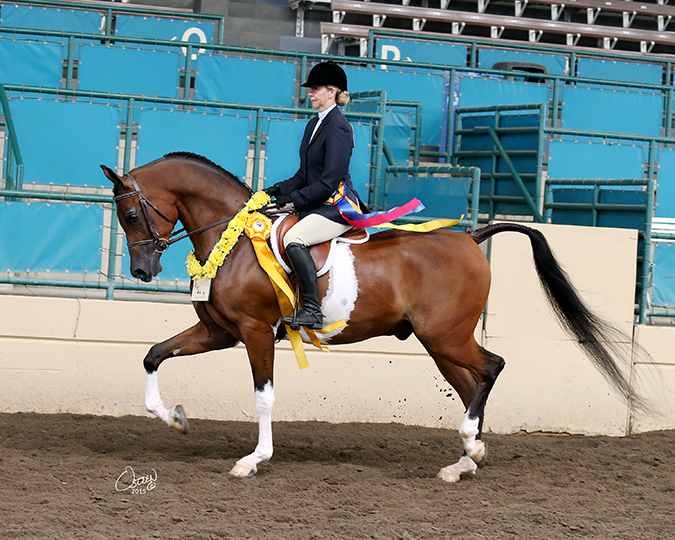 Champion Scottsdale Signature Stallion Hunter Pleasure Futurity. 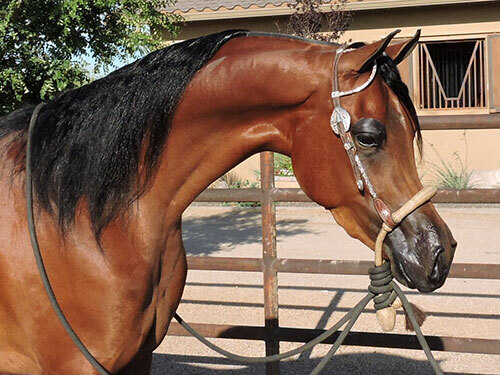 This is one of the biggest and prettiest Half-Arabian Western horses we've had in a while. She is a beautiful dapple grey. This one is a MUST SEE. 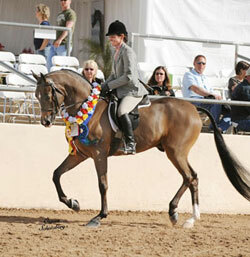 2009 Champion Half-Arabian Performance Breeders Cup Hunter Pleasure horse. 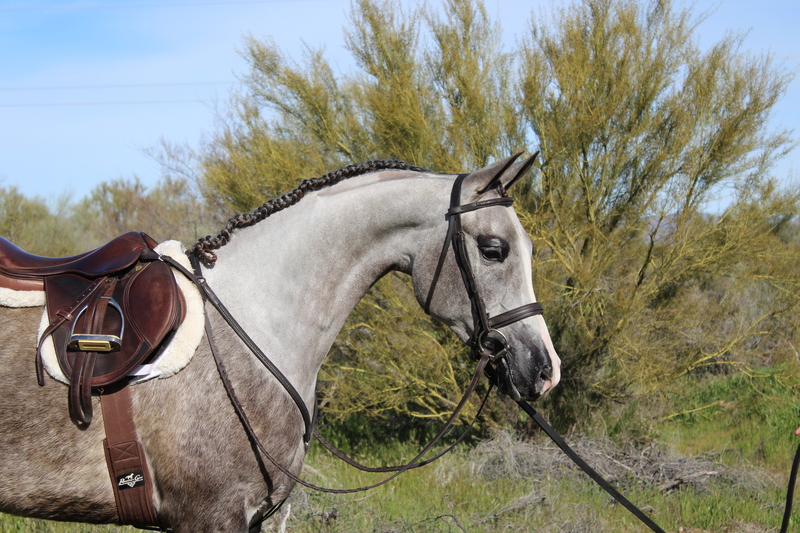 This big gelding has not been shown, but has shown promise as a very fancy Hunter or Show Hack horse. He has those Triften hocks!